Richard Cleaver is the author of Know My Name: A Gay Liberation Theology (Westminster John Knox, 1995), among other works. He began his life-long association with the Catholic Worker movement in 1975. Later worked for the American Friend Service Committee in Michigan for over a decade. Raised in Iowa and a graduate of Grinnell College there, he has lived all over the United States and also, on three separate occasions, in Japan. He holds the M.A. in Advanced Japanese Studies from Sheffield University in England. In 2003 he was ordained to the priesthood for the Orthodox-Catholic Church of America, a welcoming and inclusive jurisdiction in the Orthodox tradition that does not restrict ordination by gender, sexual orientation, or marital status. He currently works and lives in the U.S. Territory of the Virgin Islands. .
Malcolm Himschoot is an ordained minister in the United Church of Christ, with experience in local church, community, and denominational settings. 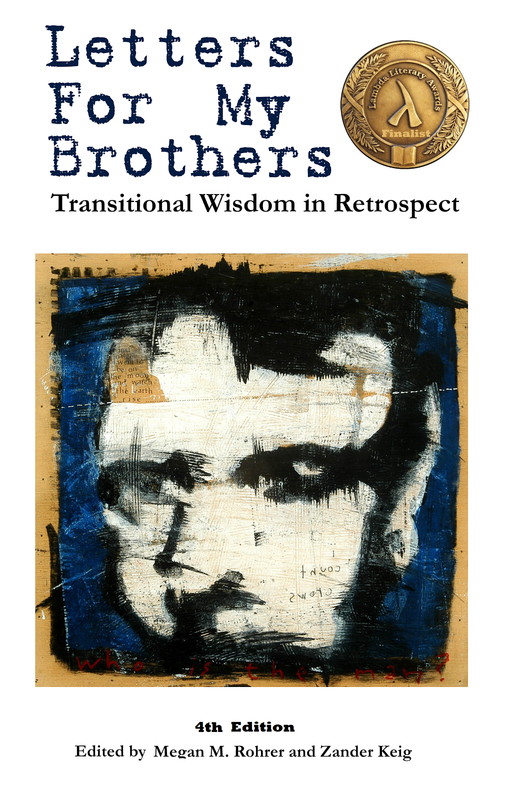 His writing on religion and social reform has appeared in Prism, The Progressive Christian, Belt, and in the previous Wilgefortis book "Letters for My Brothers: Transitional Wisdom in Retrospect." He currently helps raise a family in Cleveland, Ohio. Thom Longino is an ordained pastor in the United Church of Christ and an Associate Night Minister in San Francisco. The Night Ministry is a ministry for San Franciscans that takes place between 10pm and 4am each night in bars, on the streets and on a crisis line. Kathryn Muyskens is a perpetual student of life. She is originally from Denver, Colorado. Recently she has been studying in London, getting her MA in Philosophy from the University College London. Writing is her passion and you can find more of her work on Elephant Journal, an online journal dedicated to living mindfully. Emily Olsen is a New Jersey native currently completing a Masters in Biblical Languages at the Graduate Theological Union in Berkley, CA. She is also a candidate for ordained ministry in the ELCA. Emily enjoys reading, writing, and pretending to be a dinosaur in her spare time. She is always up for an adventure be it Jurassic or otherwise. Laurel Kapros Rohrer has an M.F.A. In creative writing from New York University. By day she is a legal secretary and in her spare time she writes, volunteers and does martial arts. She happily lives in San Francisco with her wonderful spouse and two furry cats. Megan Rohrer is the first openly transgender pastor ordained in the Lutheran church, was named a 2014 honorable mention as an Unsung Hero of Compassion by His Holiness the Dalai Lama, received an Honorary Doctorate from Palo Alto University and was a finalist for a Lambda Literary Award in transgender nonfiction. 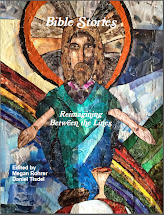 Megan is the co-editor of Letters for My Brothers: Tranistional Wisdom in Retrospect and Holy Night: Prayers and Meditations for People of the Night and the author of Queerly Lutheran and With a Day Like Yours, Couldn’t You Use a Little Grace. Daniel Tisdel taught high school Spanish for fourteen years and then finally decided to change careers to something he had been putting off for over twenty years, ordained ministry as a Lutheran pastor. Other jobs he has held have been as varied as anyone; Electrician, Golf Course Construction Worker, Pizza Chef, School Bus Driver, Professional Actor, and Grocery Store Clerk, among others, but while "Writer" was something he often aspired to, it was something he never expected to attain. And there are a lot of stories (and even full books) still bouncing around in his brain, waiting to be released on an unsuspecting public... He grew up in Colorado, lived extensively in North Carolina, Florida and California, and has now gone full circle to live in the mountains of Colorado where he pastors a small church. He loves hiking and camping, woodworking, and playing and watching sports, but most of all he loves people. Amanda Zentz is the pastor at Central Lutheran Church in Portland, Oregon. With a passion for baptism and funerals and a love for liturgy, Pr. Amanda digs deep into the traditions of the church to teach the deeper meanings of our ritualized actions. Growing up outside of the church, Amanda was baptized on December 14, 1997 while studying for her undergraduate degree in Theatre Arts from Susquehanna University in Selinsgrove, PA. Amanda went on to receive her MDiv from Pacific Lutheran Theological Seminary in Berekeley, CA in 2004. Wilgefortis is primarily concerned with justice and poverty issues. We are interested in theology, fiction, nonfiction, poetry, children’s books and other creative ways to talk about our focus areas. With a Day Like Yours, Couldn't You Use a Little Grace?